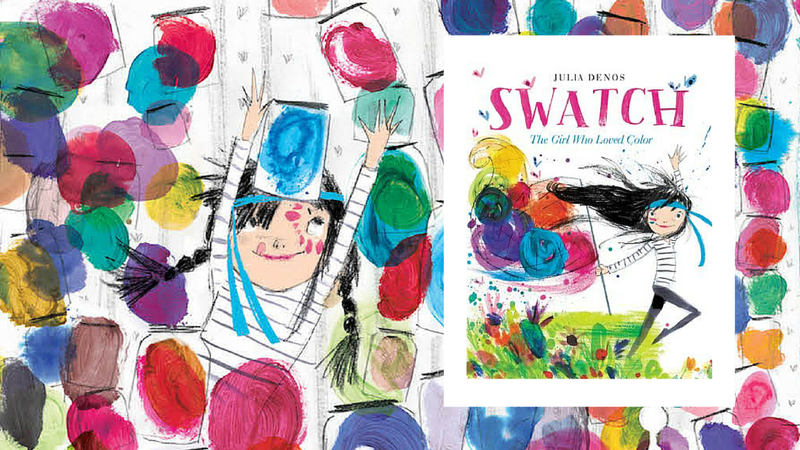 This week we’re celebrating SWATCH: THE GIRL WHO LOVED COLOR, a picture book from author illustrator Julia Denos about a girl who can tame the wildest of colors, from bravest green to rumble-tumble pink. But one color is wilder still. 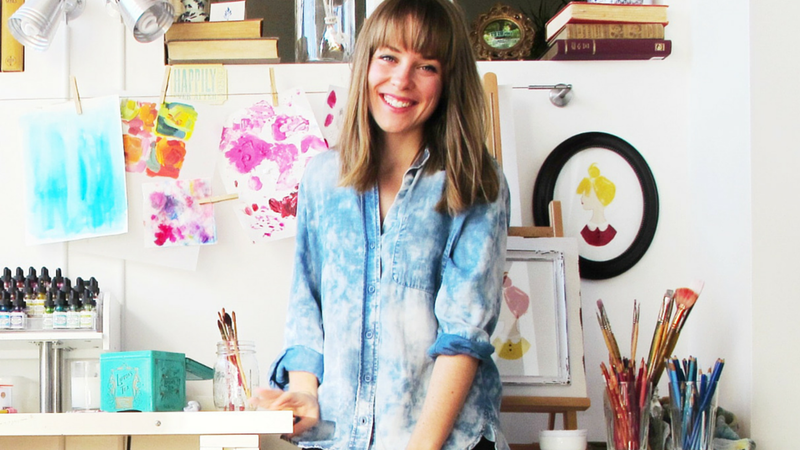 Julia Denos is the author illustrator of SWATCH: THE GIRL WHO LOVED COLOR. Listen to her conversation on the All The Wonders podcast to learn about how Swatch came to be. CLICK HERE to listen. 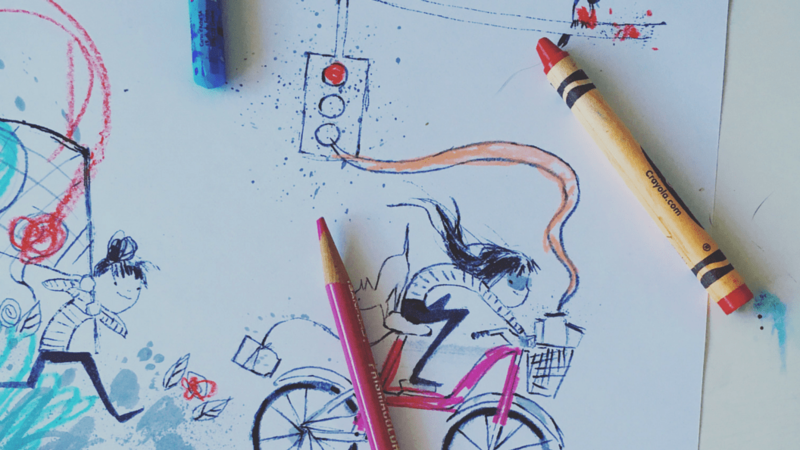 Julia Denos takes us on a behind-the-scenes look at the character and story development for SWATCH, her debut book as an author/illustrator. 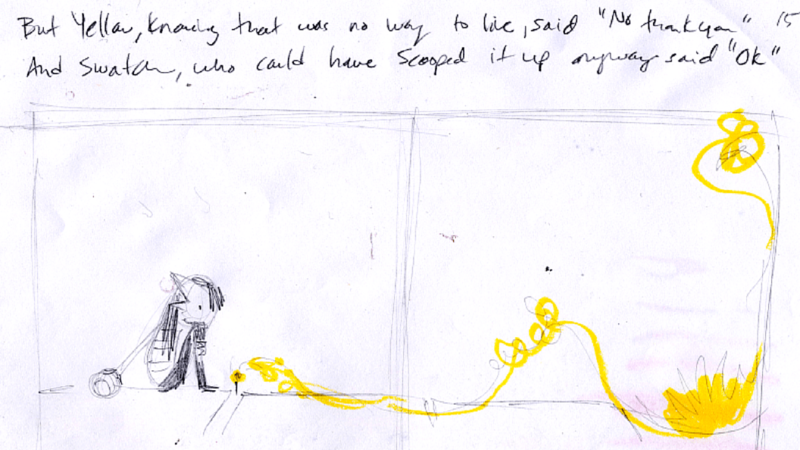 CLICK HERE to read part 1. Part 2 and Part 3 are also available here at All The Wonders! 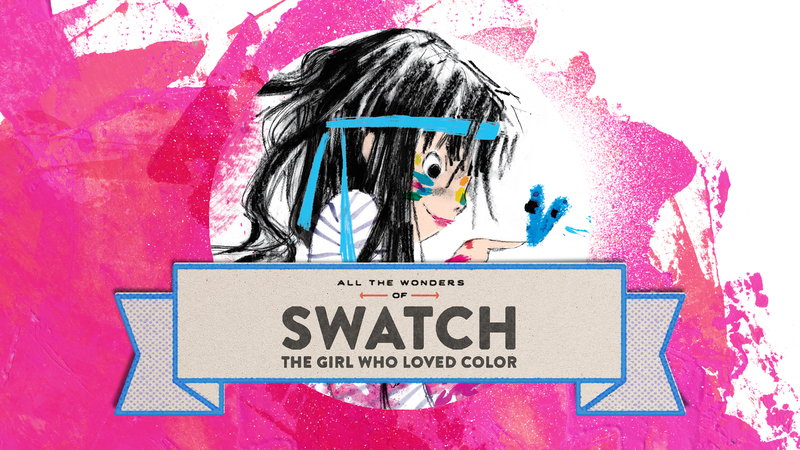 Take a peek inside the book to learn more about what makes SWATCH: THE GIRL WHO LOVED COLOR such a captivating book. CLICK HERE to read and explore. In a place where colors ran wild, there lived a girl who was wilder still. Watch the book trailer for SWATCH above, and then CLICK HERE for a behind-the-scenes look at the musicians who recorded the trailer’s original score. Grab a friend, a sibling, or parent and play The Color Tamer Game! CLICK HERE for instructions. Julia Denos, author/illustrator of SWATCH, has created SWATCH coloring sheets as well as a SWATCH facepaint guide. CLICK HERE to download. 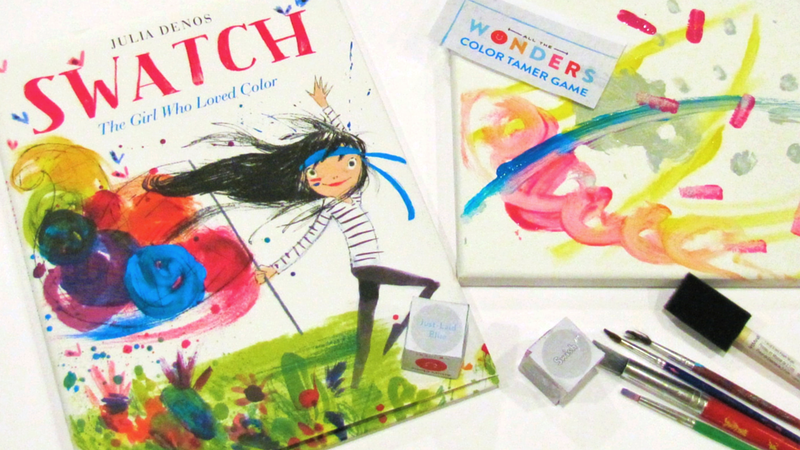 We’re giving away three (3) copies of SWATCH: THE GIRL WHO LOVED COLOR from Balzer + Bray. Follow the instructions below and we might just send a copy your way! A beautiful story that’s a must have in your child’s library. 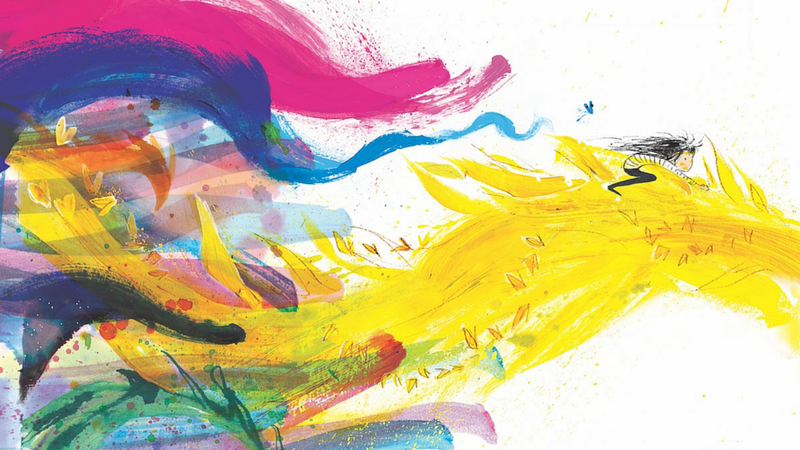 As a color lover I can’t wait to see this book! Thanks for sharing! I *LOVE* the art in this book and can’t wait to get a copy to spend more time with! I LOOOOVE this book! My favorite of the year. Thanks so much for the peek into its creation! I’m so excited about this lovely book. It’s absolutely perfect. My daughters love it and are planning a painting project as we speak.